It has been difficult to find a credible number for the Islamic State group’s total troop strength ever since it emerged, and speculation has ranged widely. The CIA estimated in September 2014 that ISIS could muster up to 31,500 fighters across Iraq and Syria. Either that estimate was low or the network of fighters grew considerably, because the estimated enemy killed-in-action far out-paced ISIS’ total strength over the next three years. During that time frame, the U.S.-led Inherent Resolve coalition killed “60,000 to 70,000″ ISIS followers, Gen. Raymond Thomas, who helms U.S. Special Operations Command, said in July 2017. But by July 2018, Inherent Resolve said it estimated ISIS manpower was once again between 28,600 and 31,600 in Iraq and Syria. Coalition officials also conceded that they had “low confidence” in the accuracy of those numbers, according to the final Pentagon inspector general quarterly report for the year. The fluctuating numbers played out on a much smaller scale during ISIS’ final stand in the eastern Syrian town of Baghouz. The U.S.-backed Syrian Democratic Forces began their clearing operation in January. For months leading up to the assault, Inherent Resolve officials estimated that ISIS’ total force was between 1,000 and 2,000 fighters. By the time the assault finished in mid-March, SDF troops reported numbers that seemed to far exceed the coalition’s expectations. 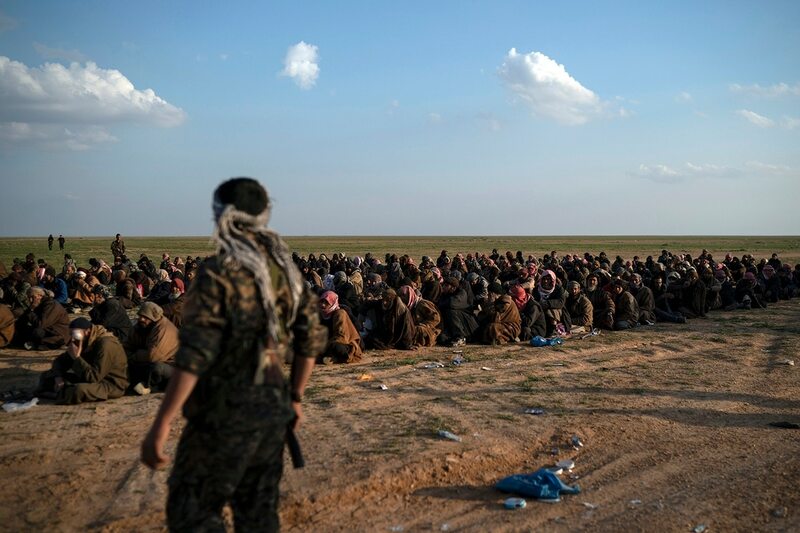 On March 17, several days before ISIS’ final pocket finally fell, SDF officials said more than 29,000 ISIS fighters and their families had already surrendered, and another roughly 1,300 ISIS fighters had been killed or wounded. They differentiate this from the number of civilians evacuated, which they said was approximately 37,000. When asked about the discrepancies in numbers, coalition officials told Military Times they would defer to the SDF’s final count. 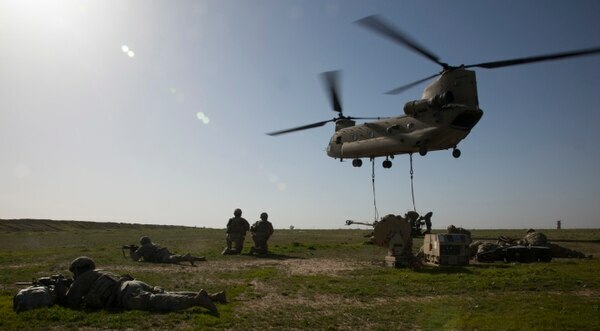 “SDF has been at the forefront, processing Daesh [ISIS] who surrender and assisting those seeking safety as they exit Baghuz,” Col. James Rawlinson, Inherent Resolve public affairs director, said. "Therefore, I would have to defer to SDF regarding their efforts. " Rawlinson added that he couldn’t go into detail regarding how the coalition estimated ISIS’ force size. It’s difficult to understand how military intelligence was estimating ISIS’ total strength, because they are unable to share their methods, often citing operational security concerns. Part of the military’s estimate could have come from looking at the total area under ISIS’ control and then utilizing a land-per-person formula to understand how many people that territory could support. Of course, ISIS proved more resilient and determined in the end than many Westerners can imagine. And urban areas complicate counting enemy manpower even further, according to Michael Eisenstadt, director of the Washington Institute’s Military and Security Studies Program. A lot of intelligence during the ISIS fight was likely gathered by a combination of drones, satellites and fixed-wing reconnaissance aircraft. “If you’re talking about underground dwellings, satellite imagery won’t be of much help,” Eisenstadt said. “It’s possible that for years they have been digging tunnels because we haven’t been focusing on that area." As an example of the complicated tunneling that can be produced during a siege, Eisenstadt pointed to the ancient city of Derinkuyu. The underground city extended to a depth 200 feet and is believed to have sheltered up to 20,000 people, along with food stores, during periodic conflicts. During a State Department briefing Monday, Ambassador James F. Jeffrey opened up the aperture on ISIS’ total strength a bit more. “It had somewhere between 35,000 and 100,000 fighters. They’re all in prison or dead or fled,” Jeffrey, who served as the special envoy to the Inherent Resolve coalition, said. It’s even difficult to get concrete numbers regarding the number of ISIS fighters being held in detention camps. “There was a very large ISIS force in Baghouz,” he added. 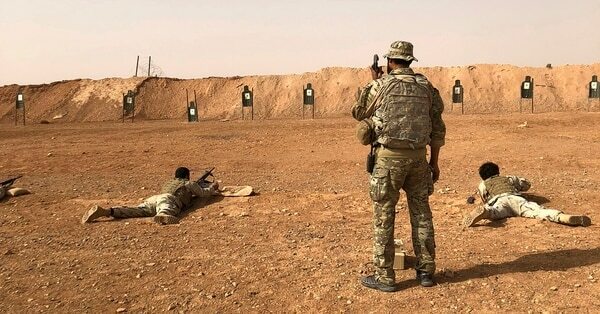 Numbers remain an important part of the overall mission in Syria and Iraq, because although ISIS has lost all physical territory, it’s likely to re-emerge as an insurgent group. And with U.S. troops planning to stay in northern and eastern Syria, ISIS’ terror network will remain a lethal threat. Still, it’s difficult to pinpoint how many ISIS insurgents the U.S. faces in the vicinity of its outposts in places like northern Syria’s Manbij or the country’s southeastern al-Tanf border crossing. Jeffrey said some estimations have put the terror group at between 15,000 to 20,000 fighters. But those figures “are not worth the paper they’re printed on or the air, the breath used to say,” he added. The fluctuating numbers are reminiscent of the range of estimated Iraqi troops killed during the first Gulf War in 1991, Eisenstadt said. Eisenstadt worked on the Gulf War Air Power Survey, which the Air Force commissioned to document and analyze its performance in the conflict. The study put a damper on the wilder guesses of Iraqi casualties, which reached 100,000 by some estimates. In the end, the survey found that there were only roughly 20,000 Iraqi troop deaths, split about evenly between the ground and air campaigns. One example of where a discrepancy could have occurred is if U.S. forces counted Iraqi vehicles destroyed in a convoy and then multiplied that count by the number of Iraqi troops who would be driving that equipment. “But most Iraqi crews slept outside of their vehicles,” Eisenstadt noted. Those vehicles could just as often have been empty during night bombing. "That was a conventional war; Insurgent warfare is even harder to count,” Eisenstadt said. In conventional war, troop deaths can be tallied by looking at sizes of standard units defeated, such as an armored brigade or fighter squadron. When fighting building to building in urban areas like Mosul or Raqqa, the number of enemy fighters is incredibly hard to gauge. The problem becomes even more pronounced for U.S. forces when ISIS is “constantly being replenished," Eisenstadt added. It’s difficult to know ISIS’ exact recruitment pattern as the group fled coalition bombs and ground troops, but “foreign fighters and people on the ground can be recruited at any time,” Eisenstadt said. “[It’s] a huge area of concern for us, especially because they’re being detained by the non-nation state that’s otherwise known as the Syrian Democratic Forces," the U.S. Special Operations Command leader said at a Senate hearing Thursday. Additionally, “affiliation with terror groups might be seasonal," though it’s unclear if ISIS practiced this behavior, he added. A lot of the discrepancy at the end of the ISIS campaign also has to do with the differentiation between fighters and families. The SDF said 29,000 ISIS fighters and their families had surrendered in total by March 17.